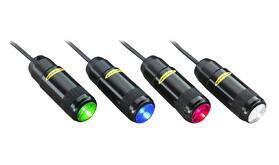 Vision Lighting completes Banner Engineering’s vast portfolio of safety lights and indicators. Lighting particular areas can be tricky without the proper equipment. Vision lighting with LED fixtures alleviate this problem by illuminating a specific area with solutions made for a variety of lighting needs. Built for adding contrast to the workplace, Banner Engineering’s Vision Lighting can greatly boost productivity, bring down safety-related incidents, and add life to the workplace. Area lighting provides uniform illumination within a concentrated area. Proper placement of these Area Lights can create shadows and glare, thus allowing vision sensors to pick up the presence of a particular object or movement. These lights can illuminate distances greater than 12 inches and are available in several dimensions. 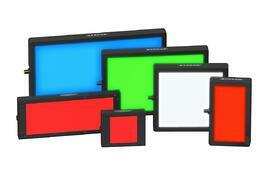 Models are also available with different mediums such as infrared, visible red/blue/white, and UV lights. The useful life of these lights ranges from 10,000–60,000 hours depending on the model. Taking the stressful industrial condition into account, they are sealed for perfection. Because of their ring-shaped light, Ring Lights provide diffused illumination over a small area and are often used to light the space right in front of a motion capture device by properly configuring the lens axis. The lights can be coupled with PresencePLUS sensors as well as an external power supply, thus forming a vital part of the industrial automation system. 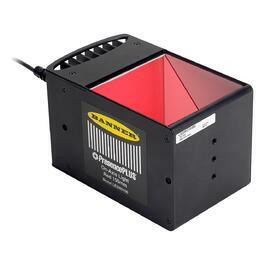 Similar to Area Lights, infrared, UV, and visible light models are available in varying dimensions. Minimum useful life is up to 60,000 hours for a single unit. Backlights are used to bring uniformity to a specific location, usually placed behind the target and aimed back towards the camera. They can be connected to PresencePLUS vision sensors and provide highly robust lighting, bringing accuracy in applications. 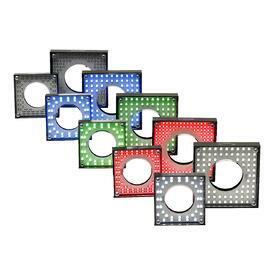 They are perfect for applications that require highly diffused surface and uniform brightness, easily highlighting holes within a target object. Depending on the model, the useful life of these lights ranges from 10,000 to 100,000 hours. The housing is rated at IP67, designed to withstand harsh industrial environments. Banner Engineering’s Spot Lights are ideal for creating shadows and glares, allowing vision sensors to detect the presence of any significant feature within an object. The lights can withstand washdowns thanks to their IP68/IP69K ratings while providing extremely bright, focused lighting with a single high-power LED. 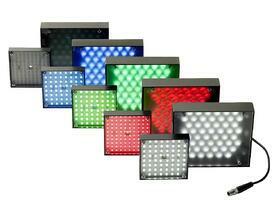 The spotlights feature a color range of red, white, blue, and green. Three lens options are available depending on the model, while continuous or strobed operation can be selected. One particular thing to notice is the lights’ ability to withstand voltage fluctuation and provide uniform illumination at all times. The supply voltage ranges from 10–30 volts DC. Banner Engineering offers diffused illumination for reflective surfaces with its On-Axis Lights that make use of beam splitters to direct light rays along the same axis as the motion sensor’s lens. The lights can be connected to PresencePLUS vision sensors and evenly illuminate flat reflective surfaces. This makes them ideal for vision sensory applications. Several options are available in terms of dimensions, diameter, and type of medium (infrared or visible spectrum). Minimum useful life ranges from 10,000–60,000 hours, similar to the lighting options offered by Banner.